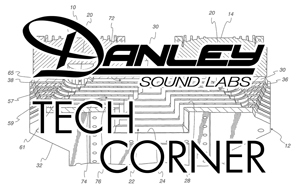 Understanding Specifications part 1 | Danley Sound Labs, Inc. Recently I was asked a very interesting question. Someone who has a long career in a pro audio sales business asked me what a frequency response graph meant. That took a certain amount of guts! It is similar, I suppose, to a car salesman who is not sure what MPG stands for. There may in-fact be some of those out there, but it would be difficult for them to ask anyone out of sheer embarrassment! So, as I reflected on this gutsy question, it occurred to me that maybe there are more folks out there who need help understanding the basics, but are too intimidated to ask. Never fear! The Danley tech topic is here to both protect your anonymity and answer your unspoken questions! In the next few installations, I’ll be addressing some of the most common specs and ‘splainin what they mean.What makes audio so darned difficult is the enormous bandwidth we have to deal with. We have to deal with 20Hz to 20 kHz, and treat every frequency between those limits exactly the same. That is no mean feat, and every manufacturer of audio gear falls short. This is especially true of loudspeakers. So, the frequency response graph is a way to express how accurately a device reproduces the full range of frequencies.When you measure something, you compare a known to an unknown, right? If I take a tape measure and measure my table, I am comparing the unknown dimension of the table to the known, trusted, calibrated marks on the tape measure. If I stretch the tape across the width of the table and the 32-inch mark on the tape lines up with the edge of the table, I say the table is 32 inches wide. When we measure the frequency response of something, we are also comparing two things; what comes out of the device under test (the DUT) to what goes into it. It is assumed that what goes in is known, trusted and calibrated. So imagine a testing device that puts every frequency between 20 Hz and 20KHz into a device at exactly 1 volt. So 20 Hz is set to 1 volt, 21 Hz is set to 1 volt, etc. all the way to 20 kHz. Let’s imagine we have a DUT that is just a piece of wire. We feed this test signal into our wire. If we measure what comes out of our wire, we would measure 1 volt at 20 Hz, 1 volt at 21 Hz etc. all the way to 20 kHz. If we graph the set of numbers that come out of the wire, where the graph is volts on the Y axis, and frequency on the X axis it would look like this. It is a straight line. This is where we get the term “ flat” from, as in “ our speakers have flat frequency response”. Well, I have run out of space, so next time we will pick up here and continue to examine the concept of frequency response.